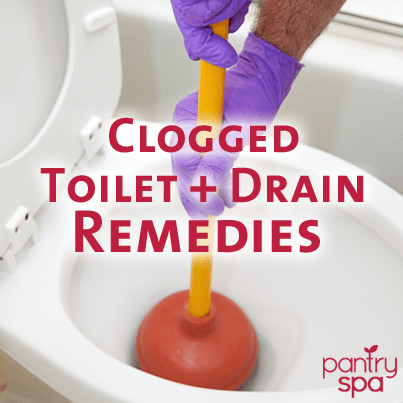 There is truly no need to buy harmful chemicals to unclog any of your drains. They are dangerous to have in the house, they are terrible for the environment and there are so many safer options that you choose from instead. If you toilet is backed up, try some hot water. This might break up the clog and make the toilet easier to plunge. If that doesn’t do the trick, try adding some dishwasher detergent to really break through the mess. Is your toilet clogged? Use some hot water and dishwasher detergent to clean it out. Is hair clogging your drains? Use cable ties to clear out the hair.